HEADING, MANDY TITLES AND OTHER TILES, FORMAT JOHN PHOTO. In the 1996 Kirk Krack, while working as a trimix Instructor Trainer in Grand Cayman, was first introduced to the competitive world of Freediving while setting up scuba safety for some world record events by Pipin Ferreras and his wife Audrey Mestre. Although he had a lifelong affinity for freediving (or what he thought was called skindiving), he became interested in the physiology of the sport and began to learn more about how this Freediver was able to reach such extreme depths on a single breath. Kirk developed the educational philosophy, standards and procedures and wrote the manuals for PFI that to this day continue to be improved and perfected with the newest techniques after having trained more than 10,000 students, training 7 athletes to 23 different World Records and setting up World Class events. The PFI educational system was the first in North America to offer a complete course that included not only ways to improve in depth and time but most importantly it taught the safety aspects of the sport. He created a program where you learn the theory behind breath- hold diving, practicing techniques in the pool and then finally perfect the skills in the open water. To this day the PFI system of Freediver education is still one of the most comprehensive Freediving Educational Systems World Wide. Today PFI not only teaches recreational programs but also is a well-rounded Training Agency that has instructors’ worldwide. Exclusively Red Bull athletes use the PFI system of education. As well and Special Operations forces such as the US Naval Special Warfare Group and US Special Forces as well scientific and educational institutions such as American Academy of Underwater Sciences. To read the complete bio on Kirk Krack click the button below. Mandy is a highly motivated and determined female athlete with a great sense of humor. She has developed an excellent understanding of the diving industry during her 22 years working professionally within it as both a PFI Instructor and a PADI Course Director and is well respected. Since learning to freedive in 2000, Mandy-Rae has attained 13 Canadian National records, finished first place with her Canadian women’s team in two AIDA World Championships and has gone on to hold 7 World Records. Mandy-Rae was part of the OPS Team in the Academy Award winning documentary, The Cove. Was a mermaid in the movie The Mermaids Chair. She is also a proud member of the Women Divers Hall of Fame. The following physiological statistics were established December 13th, 2000 during testing at Simon Fraser University with Dr. Erik Seedhouse and Dr. Andrew Blaber for an on-going freediving research study entitled Psychophysiological Testing of Novice and Elite Freedivers. It’s important to bear in mind that many of the measurements will increase dramatically during a training cycle. Chris Bustad was born and raised in Washington State, living at one time or another on both sides of the mountains. Having joined the US Coast Guard right out of high school, he was an Electrician’s Mate and also served as a Cutter Rescue Swimmer. 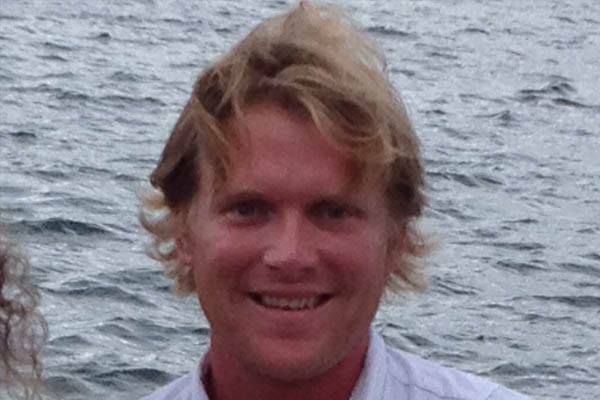 In 2004 Chris became a certified SCUBA diver, and continued on to become a Divemaster. In 2006 he went to the Diver’s Institute of Technology in Seattle, WA where he was class president and graduated top of his class. Chris worked for 3 years as a commercial diver, and decided to spend more time at home. Later, he started working for a local dive shop and became interested in freediving, needing something with more of a personal challenge feel. He had certainly found it. After freediving with buddies here and there and doing more research, Chris decided that he needed to get some formal training. After further research, PFI was the agency that most closely fit his philosophy and style. In Sept 2012 Chris took PFI’s Intermediate Freediver Course, taught by Kirk Krack and Rodrigo Novas. That following June, he took it as a refresher, again being taught by Kirk and this time Shell Eisenberg. He was so thoroughly impressed by all of the instructors, Chris knew that he wanted to be a part of the PFI family. Kirk invited Chris to come to Hawaii for the Advanced, Safety Supervisor, Assistant Instructor, and Instructor Exam. Chris signed up immediately. John is a PFI Intermediate and Breath Hold Surf Survival Instructor based in San Francisco, California and also offers individualized coaching sessions and specialized classes such as Safety for Abalone Diving and Spearfishing. John is a 2 x U.S. National Record holder for the freediving discipline of Dynamic No Fins (DNF) and has represented USA Freediving at AIDA World Championship events in Belgrade, Serbia in 2015 and Turku, Finland in 2016. Craig successfully coached a Hawaii based athlete in breaking two U.S. National freediving records in the discipline of Dynamic Apnea (distance in a pool with a fin) and in becoming the United States’ first 200-meter athlete (on one breath). Born in Michigan and raised in Oregon, Craig spent the majority of his adult life in Italy, The Bahamas, Puerto Rico and Hawaii. Craig now resides in the Hawaiian Islands where he founded Hawaii Freedivers, High Performance Training, a freedive training agency offering a variety of Performance Freediving International’s training courses and specialized coaching sessions. North Carolina native Ashley Futral Chapman is leaving her mark on competitive freediving. She took interest in the sport in 2008 so she could spearfish the North Carolina waters with her husband, Ren. After struggling with shallow 50 foot dives, she decided to accompany Ren to the Cayman Islands for their first PFI Intermediate freediving course. In just four days, Ashley propelled herself from 50 feet to over 122 feet. Hooked, she trained for the summer and traveled with Ren to Egypt to compete for the first time as an alternate with Team USA. While in Egypt and with the help of PFI founder, Kirk Krack, she managed to increase her depth to 180 feet. The US women earned the silver medal. Ashley and Ren spent 2009 earning their PFI instructor certifications. In 2010, Ashley got back into the competitive circuit. Since then she has competed in multiple competitions around the globe including PFI’s Deja Blue where she has earned 2 world records and 5 national records, all in depth. In 2012, she traveled to Nice, France to compete in the Team World Championship as a competitor and co-captain--she earned a national record in the pool. 2012 also brought her to Suunto’s Vertical Blue where she clenched four more depth national records making her the deepest woman in the US. She also earned another world record in CNF after plunging down to 220 feet and surfacing confidently. Ashley has been teaching freediving with her husband, Ren, in North Carolina and abroad from their sailboat. They spend most summers back home in NC where courses include tips on spearfishing and diving with sharks! Winter and spring months are spent abroad focusing instruction in the Bahamas, Grand Cayman, Roatan, Honduras, and the Florida Keys. Ashley began a new and possibly the most challenging adventure of her life when she welcomed a new addition, Ani, to their family October 5, 2013. When it comes to freedive instructors, experience matters. Garo is the owner and founder of Gannet Dive Company USA. He has been breath-hold diving and spearfishing for over 35 years, served as a head competition safety supervisor for nearly a decade, and has trained U.S. Naval Special Warfare units in the PFI Breath-Hold Special operations program. Garo has always had an insatiable appetite for knowledge regarding the ocean. Born in coastal Rhode Island, he spent most of his summers in and around the cold waters of New England. When he was six years old, his gather gave him his first pole spear--he was changed forever. Over the years, he has honed his dive skills, perfected his speargun designs, and studied culinary techniques. Nothing brings him more satisfaction than submerging himself in the ocean and bringing back a meal to feed his close friends and family. He believes this action is elemental and timeless. Hunting the oceans for almost his entire life, Garo is a strong advocate for conservation and ocean sustainability. Wherever life takes him, his abiding passion will always remain in the water. A native of North Carolina, Kerry was drawn to freediving after taking a PFI class with Evolve Freediving in Wilmington, NC. She quickly entered the competitive world and was the 2014 U.S. team captain at the Team World Championships in Sardinia, Italy. She can dive to 70 meters and hold her breath for over 5:38 minutes. Kerry is an emergency medicine doctor, BLS and ACLS instructor, and works with AIDA in making the sport of freediving safer for all divers. She has been an instructor with PFI since 2012. Rik is a PFI Freediving instructor operating Revolution Freediving in Philadelphia/Dutch Springs, Pennsylvania and St. Croix, U.S. Virgin Islands. 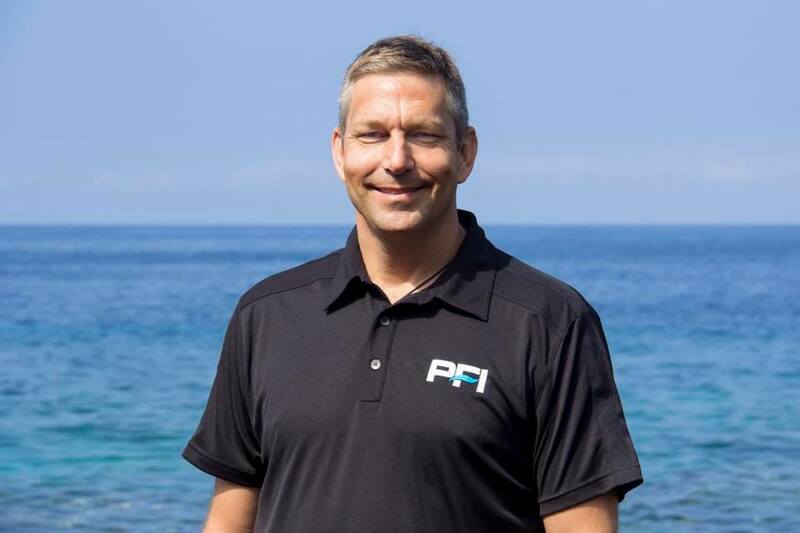 He teaches the PFI Freediver Course, the PFI Safe Buddy Course, as well as private freediving classes by request, customized individual coaching sessions, open water line diving, and equalizing workshops. Revolution Freediving also facilitates weekly pool training sessions for dynamic development in the Philadelphia during the off-season. Revolution Freediving also stocks a wide range of high performance freediving gear available for rent. Kevin is a PFI Freediving Instructor, Scuba Instructor, Emergency First Response Instructor and Cave diver. Freediving was introduced to Kevin part-way through his scuba training and the challenge of the sport was irresistible. 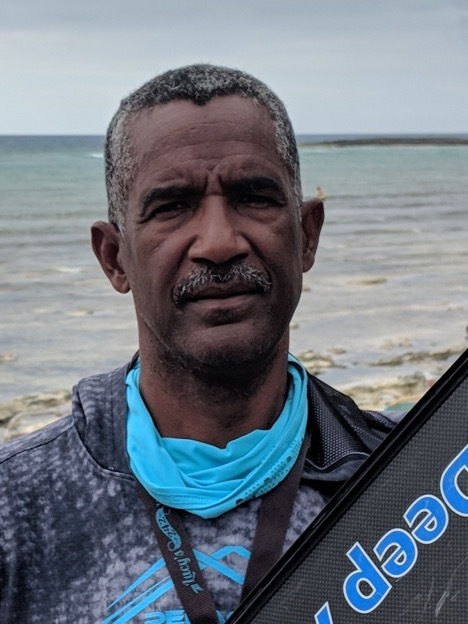 Immediately after completing his scuba instructor training, Kevin signed up for a PFI course and soon found himself competing nationally and internationally. Freediving has provided Kevin with some amazing opportunities and he is pleased to be in a position to help start others off on their freediving adventure. 2011: Vice-President of CAFA, the Canadian Association of Freediving and Apnea. Ren was raised in Wilmington, North Carolina. From day one, he was immersed in coastal living and was fortunate to have been raised with his toes in the marsh and estuaries of the area. Ren’s father, Frank Chapman, humanitarian, biologist, and teacher, has been the scuba instructor and director of water safety for the University of North Carolina at Wilmington since the mid 70s. Ren has always been around the ocean. He began scuba diving at the age of 6 and after a short period of inactivity during his college years he got back in the water and has never come out. He began freedive spearfishing in June of 2007 and took PFI's Intermediate course in October 2007 in Miami. Unable to do the ocean portion of the course due to weather, he traveled to the Cayman Islands in 2008 where his love for the sport, as well as his sense of accomplishment, grew. Since taking the first freediving course in 2007 he has made a name for himself in the spearfishing community as a videographer and underground producer of spearfishing videos with Searen Productions. Since Ren’s introduction into the sport, he has refined his skills through the PFI professional level courses where he has earned his credentials as an Intermediate Freediver Instructor. Ren is also an experienced safety diver, working for various international freediving competitions including PFI’s Deja Blue II, III, and IV in Grand Cayman and Suunto’s Vertical Blue in beautiful Dean’s Blue Hole, Long Island, Bahamas. Ren also boasts positions as a coach to his world record holding wife, Ashley, and to Team USA during the 2012 team championships in Nice, France. Currently, Ren is teaching freediving with Ashley and undertaken his most challenging and rewarding position to date as father to Ani and Cape. Check out Ani's first freediving video here. Shell grew up in Santa Cruz, California. Though a frequent swimmer in Santa Cruz’s cold ocean and an admirer of the sea, she didn’t pursue freediving until moving to Oahu, Hawaii in 2009. Shell first began exploring new depths when she was employed as an underwater photographer, capturing images of marine wildlife, primarily Hawaiian Spinner Dolphins and Green Sea Turtles, as well as photographing human swimmers. Aspiring to dive deeper and stay down longer, Shell signed up for a PFI intermediate course. After the course, having reached 35 meters, her enthusiasm for depth grew and within a few months Shell was registered for the PFI Advanced course, where she dove 50 meters. Shell’s new depth and breath-hold abilities expanded and enhanced her daily underwater experiences. She went on to complete PFI’s professional programs, earning her Freediver Instructor certification. Now, using the skills and techniques learned from PFI, Shell is continually increasing her depth and time underwater and looks forward to diving with you on the beautiful island of Oahu, Hawaii. Gaylin has been a dive instructor since 1993, specializing in freediving, dive rescue, safety and underwater photography. An avid freediver and PFI Instructor, Gaylin offers freediving and scuba courses through Deep Six Dive and Watersports in Vero Beach, Stuart, and West Palm Beach, Florida. Besides teaching, Gaylin has worked as an instructor in the Bahamas, St. Croix, and the Philippines. Divers Alert Network has certified Gaylin as a Diving Emergency Specialist Instructor, their highest rating for instructors. He is also an Emergency First Response CPR & First Aid Instructor Trainer and offers courses from basic CPR & First Aid to CPR for Healthcare Professionals. His photographs have been featured in local newspapers and regional magazines in the southeastern U.S. and California. Gaylin graduated from West Point with a degree in Interdisciplinary Sciences (physics and electrical engineering) and is a veteran of the U.S. Army. Gaylin says, “When I became a scuba diving instructor, I kept myself up-to-date on diving topics by taking continuing education courses annually. But after 17 years of teaching scuba classes, I started to run out of continuing education courses until a chance meeting with Kirk and Mandy-Rae at a trade show. Taking the PFI Intermediate Freediver course was a complete change of paradigm for me. It’s a widely held belief among scuba instructors that freediving cannot be taught. PFI courses completely crush that idea. 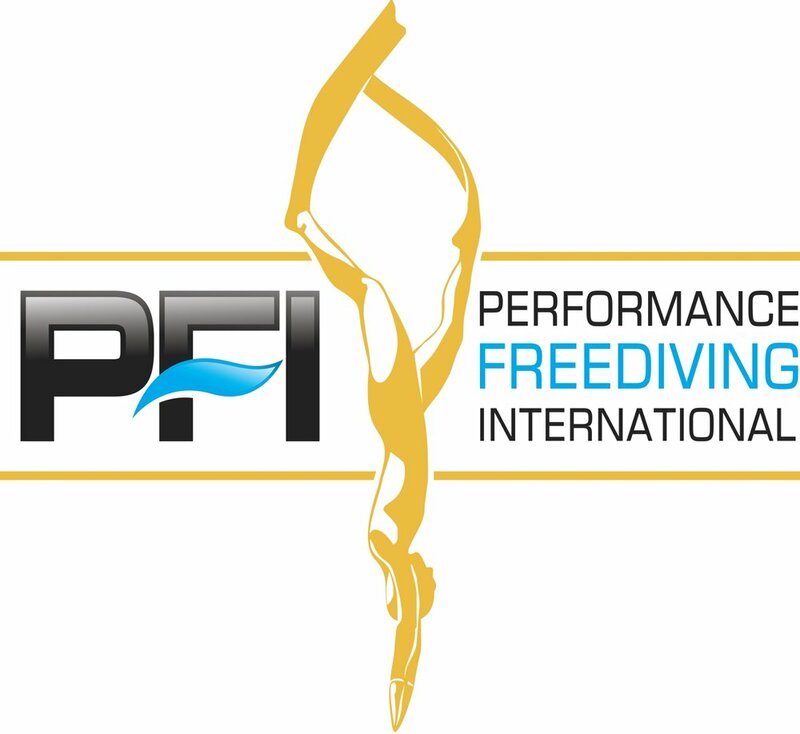 I was so impressed with the PFI teaching methodology and especially the safety protocol developed by PFI that I made it my personal mission to develop safer freedivers by teaching the courses myself." Robert H. Lee grew up in NYC and moved to San Francisco after college. He has always gravitated towards the water, not least because he’s clumsy and figures that he’s less likely to injure himself in the water than elsewhere. He has taught dozens of PFI courses throughout the U.S. and abroad and enjoys sharing his modest knowledge, whether it be about freediving or something else. When not diving, Robert works as a research fellow in Law, Science & Technology at Stanford University, and as a technology lawyer. He also spends time as a data scientist and is an aspiring machine-learning engineer. He has served as CEO of Fly Online, an e-commerce portal that was acquired by Travelzoo, and Intellevate, an enterprise software company that was acquired by CPA Global. He received his JD/MBA from U.C. Berkeley and his B.S. in biochemistry from Yale University (where he published his research in the Journal of Applied Physiology). Robert regularly speaks at business and legal conferences and has been a guest speaker at the Indian Institute of Management (Bangalore), U.C. Berkeley’s law and business schools, and Google, among others. He also authored a report on the legal outsourcing industry and a paper on exercise physiology. Robert is a member of the California and U.S. Patent Bars. Charles was born and raised in Calgary, Alberta surrounded by a wonderful landscape for activity. Though most would choose to reach the top of the Rocky Mountains, Charles decided to go underwater. It was a family vacation at the tender age of 7 years old that began the spark that would ignite a fire for the life aquatic. Once out of school Charles began working in a local dive shop. His love affair with diving would soon turn into an obsession. Logging an average of 130 dives per year, Charles quickly became familiar with all of the local dive spots. When he wasn’t working at the dive shop or out diving, he was in a pool swimming. It was during these pool session Charles discovered breath-holding and soon turned his sights to freediving. Shortly after completing the PFI course he decided to take on the competitive side of freediving. Within a year he was diving to a depth of 70m and able to do a +6 minute breath-hold and in 2008, was the Men’s National Freediving Champion. Continuing to train and compete, Charles enrolled in one of the first PFI Basic Instructor course in 2009. With his passion for teaching and love for freediving he currently resides in Calgary, Alberta, targeting other niche communities such as yoga, swimming, and music to introduce the benefits of freediving too. Jarrad is the owner/operator of Fathomless Freediving. Born and raised in South Florida’s Palm Beach County, he grew up on the water. Jarrad’s father, a U.S. Navy Diver, started him with scuba diving at five years old. Jarrad currently holds active status as a PADI Divemaster. 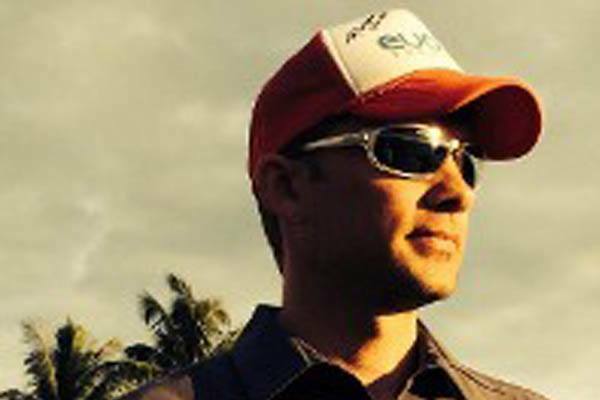 He has years of experience underwater hunting in the Bahamas, Florida Keys, and all over Florida. Jarrad was a sponsored surfer from the age of 14 until 2015 and traveled the world following waves from Hawaii to Costa Rica to Nicaragua, among many other amazing surf spots. Jarrad is also an active Emergency First Responder/CPR/AED Instructor. In 2004, he was nationally registered as an EMT (Emergency Medical Technician). He found a passion for freediving after seeing firsthand how much closer in touch he could be with the aquatic environment while on one breath of air. Jarrad has aspirations of competing in the near future. While growing up in New Zealand, Eiko acquired his first SLR camera at the age of fourteen and started scuba diving. He quickly discovered his passion for capturing images of animals in their natural habitat. During extensive trips along the West Coast of British Columbia and Alaska, his focus shifted to coastal landscapes above and below the waterline, and he fully immersed himself into diving. 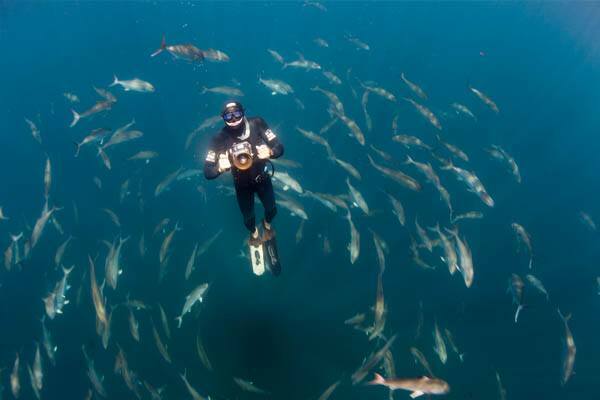 After years of being an avid scuba diver, he discovered the amazing discipline of freediving. Eiko took the PFI Intermediate course, and he was hooked. Learning the techniques and mindset of freediving has transformed his experiences in the water whether he's freediving, scuba diving, or simply floating in shallow river waters photographing salmon.Eiko completed the PFI Freediver Instructor course in Kona, Hawaii and is embarking on adding freedive instruction to his life as an underwater photographer. Currently living in Campbell River, British Columbia, Eiko is a full-time photographer working in several genres, particularly underwater. He also leads unique dive trips in the local rivers and coastal areas on Vancouver Island, as well as photographic trips to other parts of the world. All water sports interest him, as well as hiking, caving, and sailing. He has also served six years as an Auxiliary Constable with the RCMP and holds a Private Pilot’s License. Born in Singapore, Lance has been swimming in the ocean since infancy. He came to the USA at the age of 5 and started his competitive swimming career soon after, putting in 11 years at club, state, national, and college levels. He trained alongside Olympic swimmers as an adolescent and, as a summer lifeguard, taught hundreds of kids and adults how to swim. This early exposure shaped much of his later freediving philosophy and taught him the importance of training, conditioning, and technique. After some years of competitive apnea and spearfishing, including wins at national freediving competitions and one Guinness World Record ("Most Consecutive Underwater Somersaults on a Single Breath"), Lance realized that he had gaps in his training, specifically regarding safety, and he began to train with PFI. He finished his PFI Instructor Training in early 2017, and at the conclusion of the program in Kona, surpassed the U.S. Men’s National Constant No Fins record with a dive of 72M. Check it out here. Based in Los Angeles, Lance works on both sides of the camera in film and TV. He has appeared as a swimmer/freediver in advertising for Speedo, Nike, Ballantine’s, Hyundai, and others. In his free time, he is an avid spearfisherman and looks forward to working with PFI students and family. With a curiosity for the natural world, Dan has always loved being in and around the water. His dive career started with scuba; he was so hooked on his new ability to explore the underwater world that, within two years, he became a NAUI instructor. During that time, he discovered spearfishing and the world of freediving. He was pursuing freedive education at the same time that the NAUI/PFI alliance started, so he went through the first instructor training to be offered through the collaboration. In addition to being a freediving and scuba instructor, Dan is a professional educator with a bachelors degree in biology and a masters degree in education. As a high school teacher, he has developed a program that allows students to take a science class during their school day in which they can earn science credit, college credit, and dive certifications. Dan works tirelessly to build and support his local freediving community, and his passion spurred him to open the first freedive specific shop in Oregon. As a regular contributor to NAUI Sources magazine, he educates readers about the world of freediving and the possibilities available through the PFI collaboration. In 2017, Dan was honored to receive the Outstanding Contribution to Diving award from NAUI. As a biologist, sustainability is very important to Dan. Through his shop, he has developed spearfishing training that provides students with the knowledge of how to be successful and safe while retaining consideration for our marine environment in order to minimize the impact that humans have as consumers of this invaluable resource. Ian grew up in the small beach town of Santa Rosa Beach, Florida where he spent much of his free time fishing, surfing, and diving. He went on to receive a bachelor’s and master degree in Marine Biology at Nova Southeastern University in Fort Lauderdale while competing as a collegiate pole-vaulter. Ian has spent the last several years researching hogfish, spending most of his time out on the reefs freediving, spearfishing, and conducting research. Ian also helps catch sharks and rays for cancer research, lionfish ecology, and electroreception of marine organisms. Outside of research, Ian’s passion is teaching others about the underwater world he loves so much. Originally from New York, Kim grew up spending winter vacations with her family snorkeling in Hawaii. It was during her summer travel in the subsequent years, however, that Kim’s curiosity for the ocean grew, ultimately prompting her move to Hawaii in 2011. After taking an Open Water SCUBA class because it “looked like something fun to do”, Kim’s passion for the ocean quickly led to certifications as a SCUBA Instructor, a Closed Circuit Rebreather Instructor and a PFI Freediver Instructor. The underwater world also provided a diverse background for perhaps Kim’s greatest passion: photography. Photography allows Kim to share the unique and mysterious underwater world with divers and non-divers alike and earned Kim multiple roles on the Emmy Award winning “Chasing Coral”, including safety diver and underwater photographer. 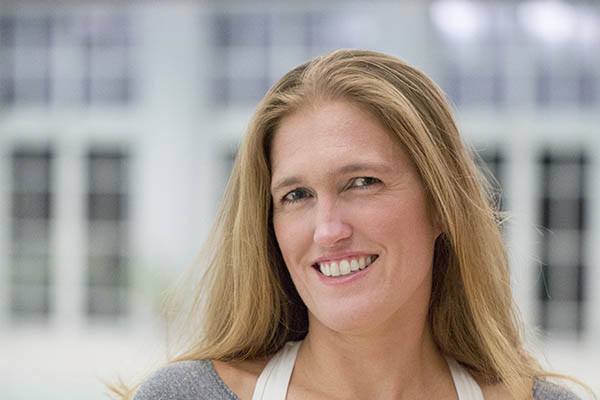 Kim has since provided commercial underwater photography for Omer and Atlantis Submarines and received several photographic awards, including multiple top three finishes in the Kona Underwater Shoot Out and, most notably, recognized as a National Geographic Nature Photographer of the Year in 2017. In harmony with the ocean, Jackie Troller confidently instructs freediving workshops on the island of Oahu, Hawaii. Her passion for freediving began during PFI's Intermediate course in 2012. From there, she participated twice as a safety diver in Grand Cayman for PFI’s annual freediving competition, Deja Blue. Her experience as an active safety support for freedive competitors gives her students the assurance they need to safely explore their potential. Jackie’s skilled background as a swim instructor, NOAA scientific diver, and part-time schoolteacher contribute to her ability to effectively relay course content and the essence of freediving. Having graduated with a degree in Marine Science from the University of Hawaii, Jackie also peppers her instruction with interesting facts about local oceanic life. Hawaii offers the perfect learning environment for taking the plunge into the fascinating underwater world of freediving. Come join Jackie to acquaint yourself with this new adventure and the PFI family. Although Talya's first love is teaching, she has recently entered the competitive Freediving world, wining both the South African Freediving Championships as well as the Cayman Open National Championships. Currently working closely with PFI association, as their first Crossover, She intends on breaking other South African Records and more.